We are the only local gas engineers who specialise in service and repair, we don't install we service and repair every day. Commercial Domestic and Lpg. The company is run by Mike and Joanne Botham. Mike has over 30 years in the gas and heating trade, over the years Mike has carried out technical repairs for Companies and boiler manufactures such as British Gas,Baxi and Chaffeteaux to name a few. 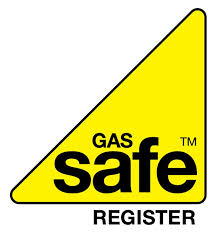 Along side or domestic customers we also have local schools, churches & factories as regular customers who we carry out repairs, annual gas safety checks and servicing of their commercial gas appliances. We carry spares for most boilers and are equipped with the latest equipment such as gas analyser and video inspection cameras. We specialize in combi boiler repairs, commercial, LPG and much more . Please click on the links for full details. Please enter brief details of problem or service needed below. We carry a card reader so we can accept card payments for your convenience at your property .